Weekend boot spots: Adipure IV SL, custom boots etc. The weekend games provided us with boot spots of all kinds, and we have, as usual, collected the top ones for you right here. You can look forward to a revisit from one of Jakob's all-time favourites, a range of custom colourways and a custom boot. Sounds good? Then come along and check it out, and don't forget to let us know if you have spotted something that we have missed. Cédric Cambon (Evian)  Adidas Adipure IV SL Black/White/Gold We start off in France, where there is a slight doubt regarding this gentleman right here, we are, although, rather certain that it is Cédric Cambon. He caught our attention as he wore a pair of Jakob's absolute boot favourites, the Adidas Adipure IV SL Black/White/Gold. Low weight, kangaroo leather and Sprintframe; almost too good to be true. 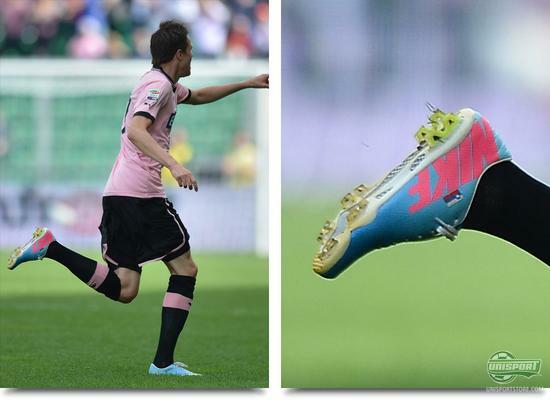 Josip Ilicic (Palermo)  Nike Mercurial Vapor IX ACC Neptune Blue/Volt-Tide Pool Blue Custom Similar to high profile stars such as Pedro Rodriguez, Alexis Sanchez and Jesus Navas, we can now also add Josip Ilicic to the list of players who have had their Nike Mercurial Vapor IX specially designed. 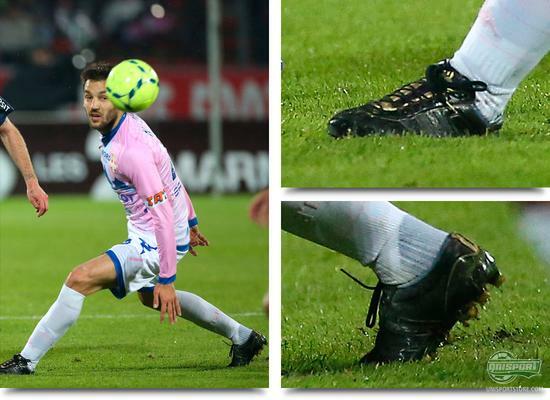 Similar to the previously mentioned players, he prefers the stud configuration from the Vapor VII and has had it installed on his boots, whereas the rest of the boot is identical to the Vapor IX. Luis Nani (Manchester United)  Adidas predator LZ Blue/Red The Portuguese hasn't gotten much on-pitch time this season and is struggling to reach his top performance. 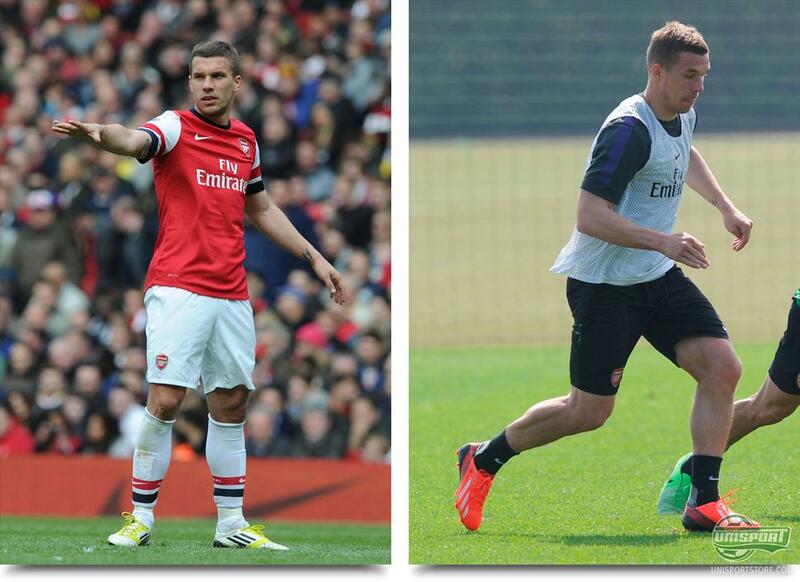 Therefore, maybe, he has, similar to Robin van Persie, gone back to wear a pair of boots that are known to produce goals. Despite having worn the latest colourway of the Adidas Predator LZ, he had gone back to the launchcolour Blue/Red against Arsenal. There is a strong sense of belonging in the London club, where multiple players are beginning to design exclusive boots with the club colours. First up is Croatian Mladen Petric, who has designed a pair of miAdidas Predator LZ with a White/Black design. A very classic colour combination that a lot of people surely would like to own. 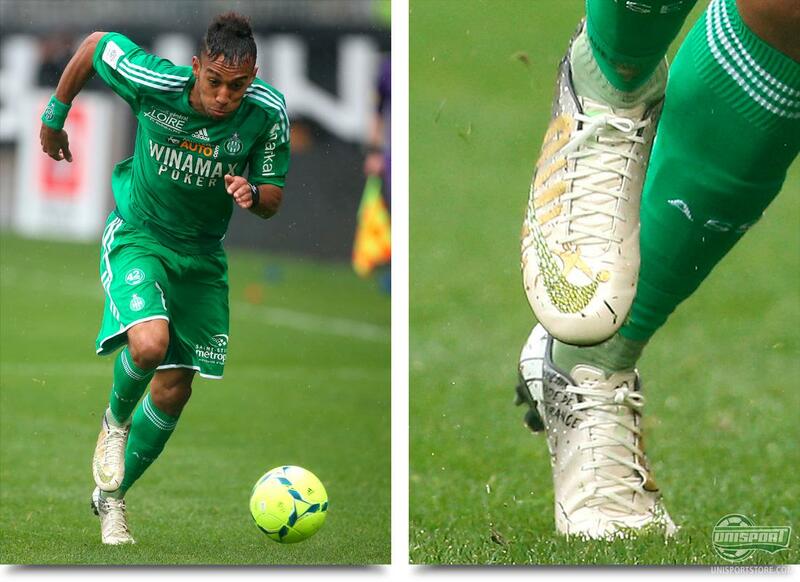 Pierre Emerick Aubameyang (St. Etienne)  Nike Mercurial Vapor IX Custom There is one man who manages to top everyone else when it comes to designing exclusive boots, and it is, of course, the man with the equally awesome name, Pierre Emerick Aubameyang. He is currently sporting a pair of Nike Mercurial Vapor IX covered with Swarowski crystals in the club colours, originally designed for St. Etienne's French cup final. Lukas Podolski (Arsenal)  Adidas F50 Adizero White/Lime/Black & miAdidas The German forward has lately made himself know for designing exclusive colourways and during Arsenal's training around the middle of the week, the German had done it again. This time around it was a pair of miAdidas F50 Adizero Red/White, but not those he wore in the game against Manchester United. 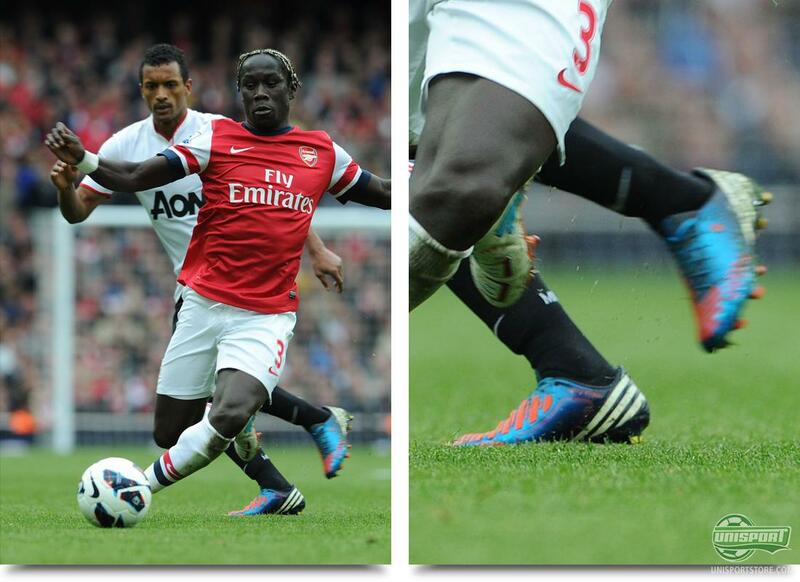 Here, he went back to his trusted Adidas F50 Adizero White/Lime/Black. 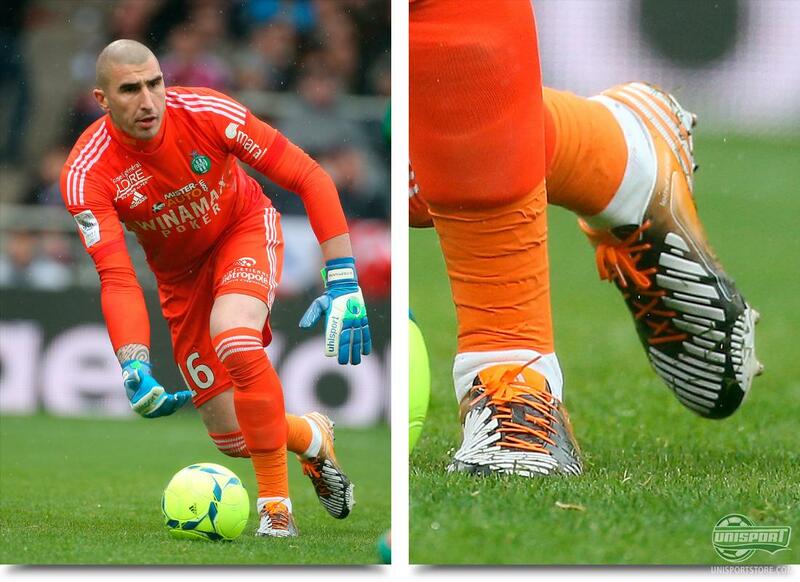 Stéphane Ruffier (St. Etienne)  miAdidas Predator LZ Black/Orange/Silver The combination options, when designing a pair of football boots, are endless, and Stéphane Ruffier ended up with these. A pair of miAdidas Predator LZ Black/Orange/Silver, which make a top match with the goalkeeper kit. It's a big thumbs up from here, but what do you think? 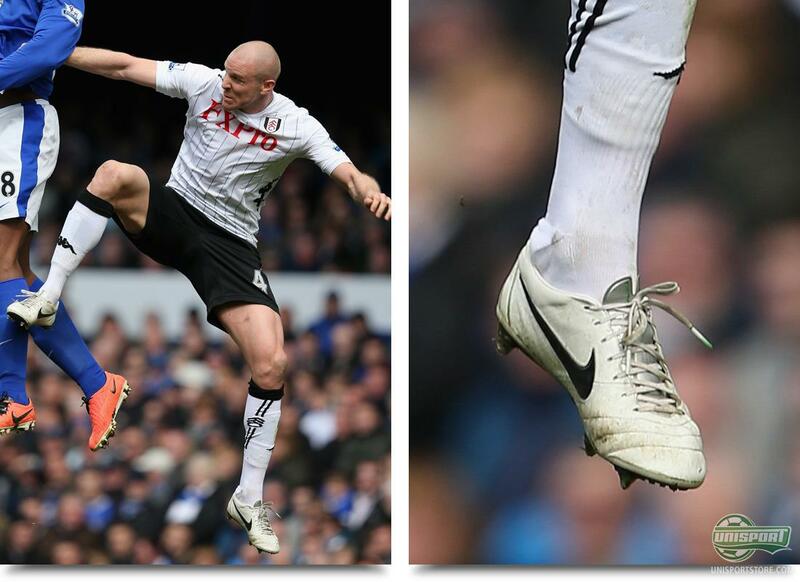 Philippe Senderos (Fulham)  Nike Tiempo Legend IV Elite White/Black The great Swiss has, similar to the previously mentioned Petric, also made use of the possibility to design his own boots. The result is a pair of Nike Tiempo Legend IV Elite White/Black that suits the Fulham kit brilliantly. Hereby, we have now seen three players that dedicate their boots to the club  the third is Mahamadou Diarra, who did the same thing on a previous occasion. Here were eight top shelf boot spots to brighten up your week. We saw older colourways, custom boots, colourways and even a little more. But did we miss anything? Feel free to let us know in the comment box below.